There were 33 male passengers whose bodies were never recovered and Gerry Kealy is working through the families to rule them out. A RETIRED GARDA is working to track down the family of a man who was killed in the 1968 Tuskar Rock plane crash off the coast of Wexford. The man’s remains were found a number of months after the incident but he has never been identified and is currently buried at the memorial for the crash. 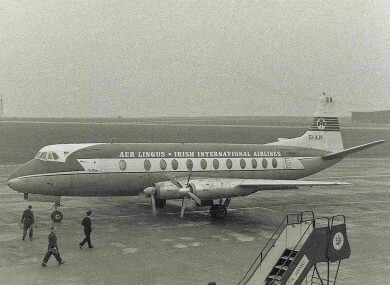 On Sunday 24 March 1968, Aer Lingus Flight 712 from Cork to London Heathrow crashed off the Wexford coast. The aircraft – a Vickers Viscount named “St. Phelim” – went down into the sea just off Tuskar Rock, killing all 61 passengers and crew. Of the 57 passengers, 35 were Irish, nine were Swiss, six were from Belgium, five were British, and two were American. Only 14 bodies were ever recovered from the scene. There were 33 males unaccounted for, and their bodies were never recovered, Kealy told TheJournal.ie. The brother of one of these men, Jerome McCormack, contacted Kealy a number of years ago to ask for his help as he had read about success he had in identifying the body of a Welsh woman using DNA. “He had got an exhumation in the year 2000, the minister had granted permission and they attempted to get DNA from it. At that time it failed but in 2010 or 2011 he came to me and asked for help,” explained Kealy. He gave me a whole pile of paperwork and when I was going through it, I found this serial number from a lab in England. I got onto them and they still had what was taken in 2000 which was a piece of the femur, the thigh bone. A full profile was developed but there was no match with Jerome McCormack’s brother Niall. Since then Kealy has been working through the list of 33 unaccounted-for men and now has 20 left – he has eliminated the others through DNA testing. He wants to find family members of each of the deceased to test them for a possible match. The cause of the crash has never been determined. There was no black box recorder on the plane. One popular theory is that a rogue RAF missile was responsible for the crash. Other theories include that the plane may have been struck by a pilotless drone or that it was downed by mistake by a British warship – the HMS Penelope. A 2002 review by the Air Accident Investigation Unit found that paperwork relating to a routine inspection of the aircraft carried out in 1967 was missing. The issues with inspection of the aircraft refocused theories onto its maintenance. There was a 50th anniversary ceremony in Wexford in March last year and Kealy said he met some more of the families there and managed to collect three more samples for comparison. He expects to get the results in the new year. But he wants to urge the other families of male passengers who were unaccounted for to contact him and provide a DNA sample. So many years later and with relatives spread across the globe, tracking them down is a difficult and time-consuming process. If any of the family members of these men want to get in touch with Gerry, they can do so by emailing gerardkealy@hotmail.com. Email “Retired garda searches for family of unidentified victim in 1968 Wexford plane crash”. Feedback on “Retired garda searches for family of unidentified victim in 1968 Wexford plane crash”.